The majority of UK retailers expect trading this Christmas to be no better than last year, according to a survey by the British Retail Consortium (BRC). The BRC found that 35% of firms believe trading will be better than 2009, with 29% saying it would be the same. The remaining 36% fear Christmas will be worse, with the recent snow and financial pressures on consumers cited as key reasons. The BRC surveyed 17 big retailers which make up 51% of the sector by turnover. The survey also found 71% of retailers think that the planned rise in VAT in January is encouraging consumers to bring forward purchases. BRC director general Stephen Robertson said: "It's reassuring to see a majority of retailers believe Christmas sales will be at least as good as last year... But considering inflation is now at 3.2%, growth of anything less than that would be a real-terms fall." Electricals retailer Kesa, computer games group Game, and music, DVD and games retailer HMV all reported disappointing updates. But other retailers are faring better, with John Lewis reporting another week of record sales. The group said sales hit £121m in the week to Saturday 11 December, up 16.7% on the previous week when bad weather kept many shoppers at home. 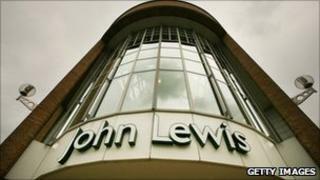 Economist Howard Archer, of IHS Global Insight, said the John Lewis figures may help ease fears over Christmas trading. "Retailers may still have a decent Christmas after all, despite the hit to activity from the bad weather," he said. "One proviso is that, in recent times, John Lewis have been comfortably outperforming the retail sector as a whole. "Another major concern for retailers is that more cold weather is forecast this coming week. With Christmas falling on a Saturday, next weekend's trading is going to be of major importance to retailers." Also, Tesco, Britain's biggest retailer, has forecast that it expects to see its best ever Christmas.